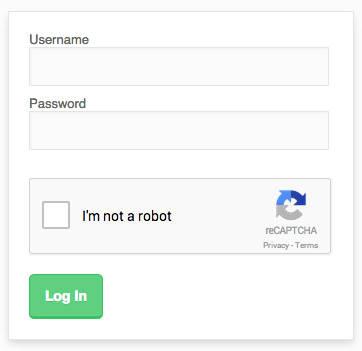 Click here to create a Google reCaptcha application. 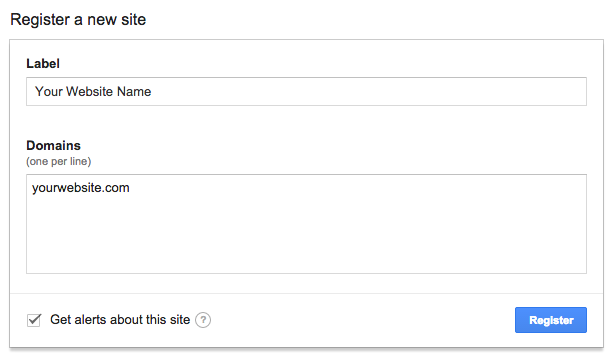 This will help your website to communication with Google. Contains PHP code, here you have to modify the Google Secret Key. This code will verify username and password details in database. CURL function for Google reCaptcha verification. Enable php_curl extension in php.ini configuration file. It's impressive how Google team has enhanced Recaptcha mechanism. Understanding if you are a robot or not without typing anything: incredible! I think this will bring a great improvement in conversion, since it requires fewer efforts to users. Thanks for sharing! This seems very interesting. Will try to add this recaptha coding into my website. Thanks for sharing! Why you are showing your site secret key ? Keep it secret. @Shahid That demos secret key is not working. to the curl settings which forces curl to accept any server certificate and voila! it works. Srinivas, is there a way to know if the checkbox is clicked or not? Your code takes place after the checkbox is clicked. What i need to do is to let the user know that he/she did not clicked the captcha checkbox. This is awesome post. thanks bro i follow all time you. Great and nice feature reCaptcha. Tnats too good new v.
i want to know that which tools you use to create images for your post. Thx, really helpful and exactly what the official documentation was/is missing. Amazing and very nice coding i love it. Thank you guys. Why when I try the demo, it show a captcha verification code? Thanks for sharing the information with us. It will help reducing spams. Can you please check on firefox. Why it is not working as it works on chrome. Seen this on few websites. This is better than older system. Hope it blocks more spammers. Very useful information, i am searching this kind of tutorial since last few days. thank you so much for writing this post. And if only for a simple form, how would I do? hey, i just get a blank result from google, no error nothing just a empty result what can i do? I don't understand where to put the HTML code with the Google reCaptcha widget snippet, which will contain the site key. It is written in html. My website is php, and the index page is index.php. Do I have to include a separate html page with this code, and if so what is it named? Where do I insert the HTML code with Google reCaptcha widget snippet when my index page is php? Do I create a separate html page for this purpose, and if so what should it be named? Thanks for Sharing. I have been searching it for since long time but Finally I found & succesfully made it to work. 1-can i use google recaptcha in localhost? 2-i get secret key and data-sitekey from google but when test on localhost give me false? You need to generate separate keys for your localhost domain. e.g. dev.example.com differs from www.example.com. I believe common keys won't work for them. This info should be part of the documentation that google provides. It works fine on my php based site. I want to skip the image verification process in recaptcha.. I need only checkbox validation.. is it possible to to? Thanx 4 this great tutorial. It's very simple and useful for web based applications and i will try to add this recaptha into my own website. thanx again for sharing. Thanks 9 you Salve My Problem Thanks. I am Happy. Thanks for great work, i am wandering on blog for this. this code not returning success parameter in my website, what to do..? This is more useful then crazy word which we're not able to understand. I will definitely use this codes for my blog.